Last Friday as I was about to board a plane, the news broke that Special Counsel Robert Mueller had issued his long awaited report. In so doing, it also leaked that the Special Counsel did not intend to bring any indictments. 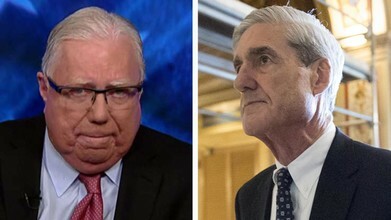 This was good news for my client, Dr. Jerome Corsi, who had refused to take a sweet heart plea deal if he would testify against the president. After doing so, Jerry, a longtime friend and colleague and, according to the leftist media, a proud "co-conspiracy theorist," asked me to defend him in the Mueller probe. Today, I have to say that the announcement by the Special Counsel, by whatever means it was disclosed, was at the upper echelon of achievements, and among the most satisfying, of my 42 year career as a public legal advocate and private lawyer. I am so happy for Jerry and his wife and their entire family. For on the other side of the ledger, Jerry's former InfoWars associate Roger Stone had been indicted by Mueller for lying under oath — otherwise known as perjury — as well as witness tampering and obstruction of justice in threatening to kill a material witness and his service dog in the Mueller probe, Randy Credico. Credico is named as Person 2 in the Mueller indictment of Stone and Corsi is named as Person 2. Neither were accused of any wrongdoing in the Mueller indictment of Stone. Because Jerry did not lie under oath when questioned by Mueller and thanks to the combined legal efforts of my co-counsel David Gray and me, as well as the good doctor's own brave and forceful actions in standing down the Special Counsel based on principle and his belief in God, Jerry prevailed and justice won out. We still however face the "witch hunts" of the rabid Democrats in the House of Representatives, led by the likes of Representative Jerold Nadler of New York, the Chairman of the House Judiciary Committee, and Representative Adam Schiff of West Hollywood, California, the Chairman of the House Intelligence Committee. But for the time being, I am so pleased and proud that Jerry and his family stood firm to government tyranny, in a way different but yet very similar to some of my other brave and patriotic clients such as Cliven Bundy and his family. It is also satisfying as well that, after Jerry and I having been viciously defamed by Roger Stone, who was attempting to coerce and threaten my client into testifying falsely to exonerate him before Mueller's grand jury, Congress and now his criminal prosecution, that Jerry now no longer faces the prospect of what in practice would be life imprisonment had he been indicted.